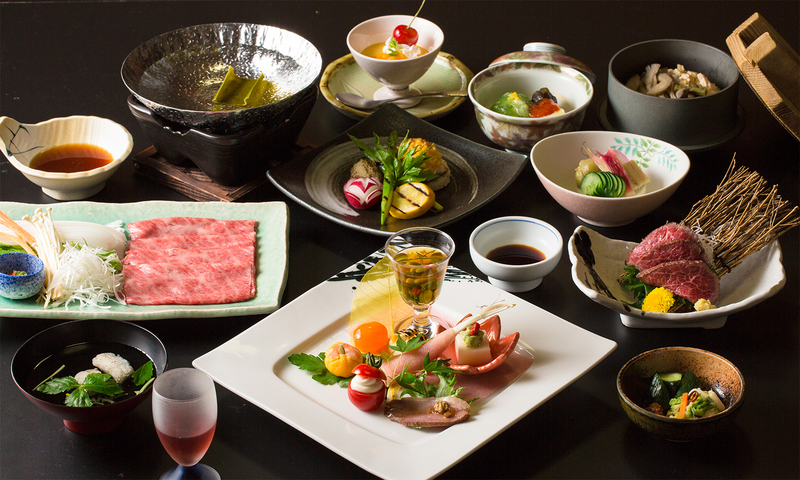 Kaiseki – Japanese Haute Cuisine prepared using only carefully selected seasonal and local produce, such as Tengen Pork and Yonezawa beef, which is ranked in the top three beef producers in Japan. 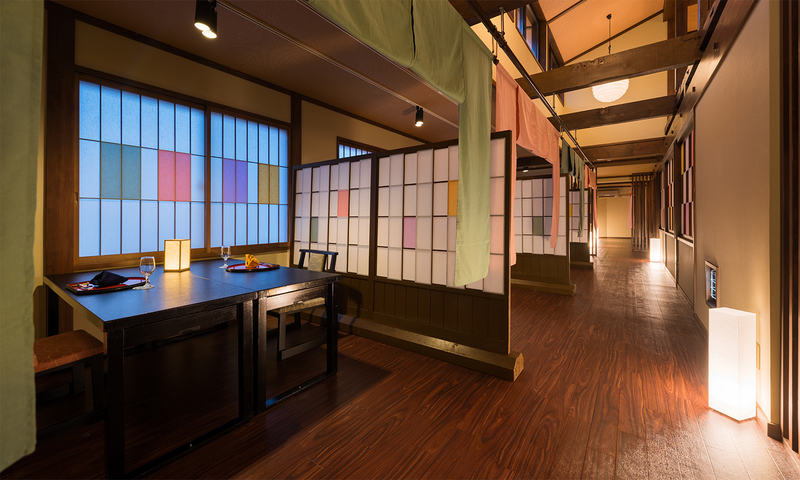 A specially prepared course to enjoy the many flavours of yonezawa. 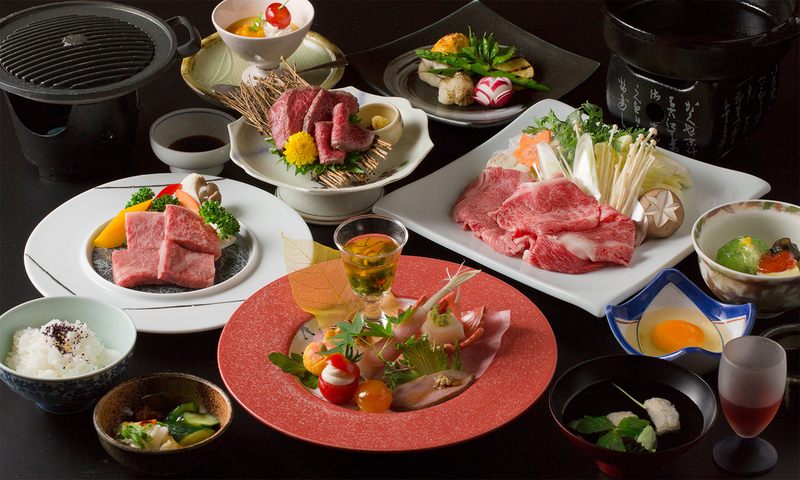 A lavish Kaiseki course of seasonal produce and local food carefully selected by the Head Chef. The main dish can be choosen from the Hot Pot Menu. Very popular with our regular guests. The most popular course. 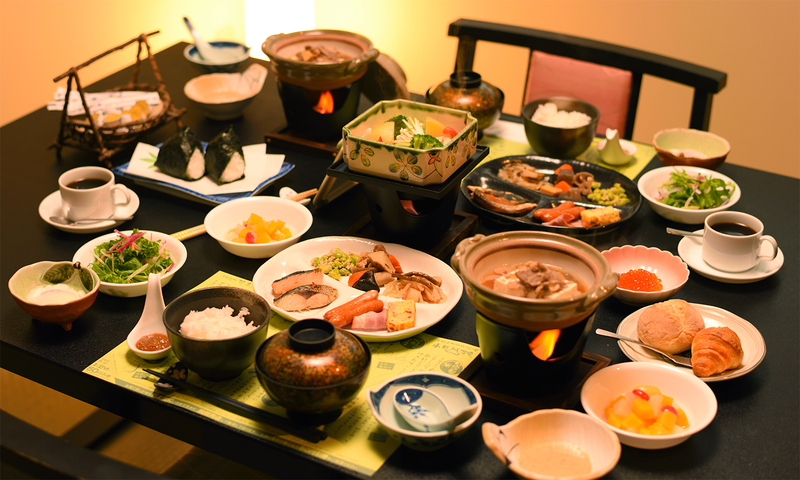 For the Standard Course, guests can choose one dish from the Hot Pot Menu and one dish from the Grill Menu. 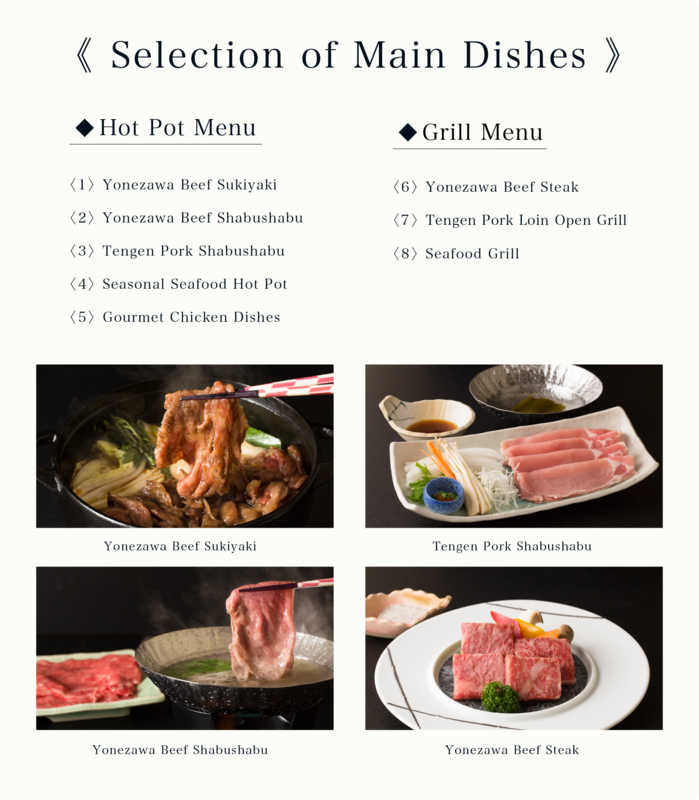 For the Gourmet Course guests can choose three dishes from the Hot Pot and Grill Menus. Breakfast is buffet style and served in the Grill Dining Room on the first floor. 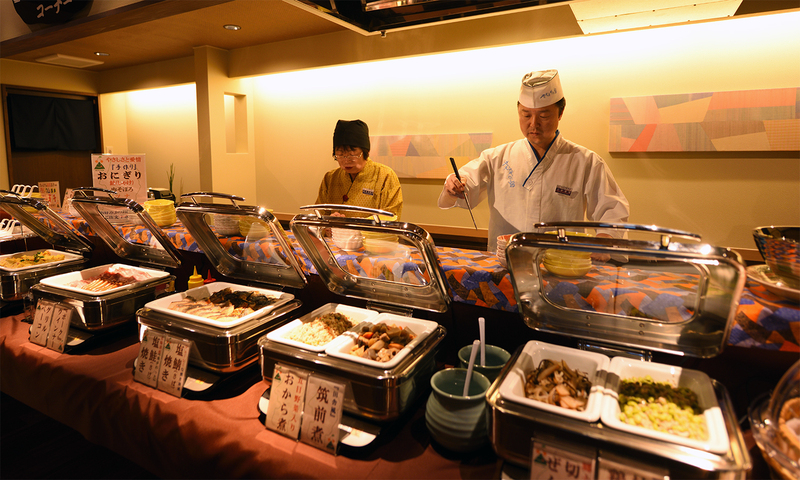 There is a splendid variety of local food on offer, including meat, tofu (freshly made that morning in the local tofu shop), local vegetables steamed in bamboo steamers, Tsuyahime rice balls, Radium eggs (eggs slowly boiled in the hot spring water). Bread and western food options are also available, along with a selection of drinks. Both breakfast and dinner are served in the fully equipped open kitchen Grill Dining room – Ai. 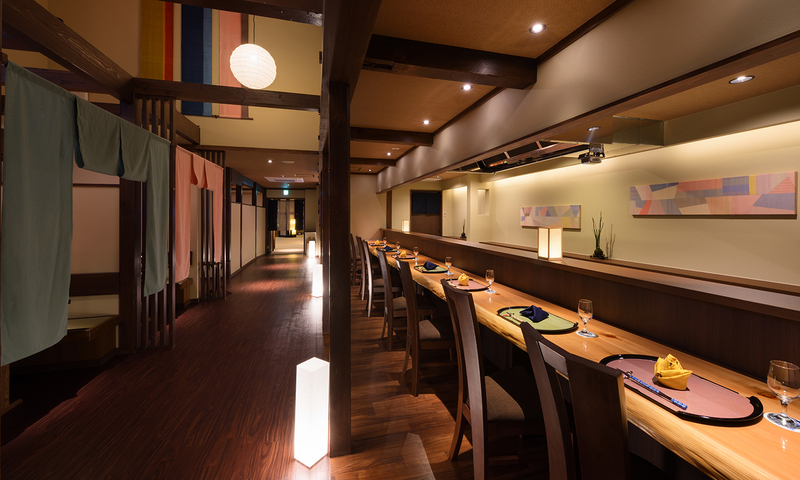 Discreet table seating and private tatami rooms creates a space with a feeling of privacy, where guests can relax and savour the seasonal cuisine.